I’ve compiled a list of 15 healthy pumpkin recipes for Fall to help you make the most of the holidays without feeling too guilty after having all of the delicious foods. From soups to breakfasts and sweet treats, this roundup has all the healthy pumpkin recipes you need to enjoy your Fall. This is the season I wait for all year long! 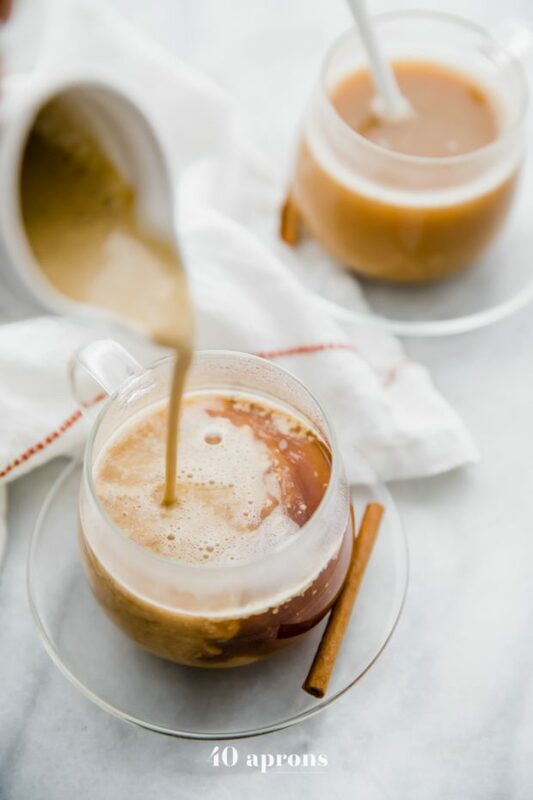 Let’s start with this Whole30 Pumpkin Spice Creamer (Vegan, Unsweetened) from 40 Aprons. 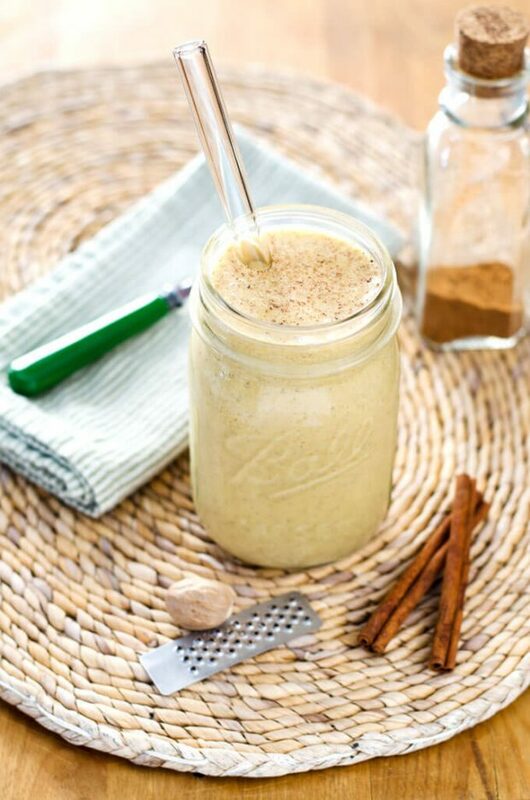 This healthy pumpkin recipe is so delicious and a fantastic start to your morning. Seriously, guys, you could have this every day and never get tired of it! This Whole30 pumpkin spice creamer is creamy, smooth, and perfectly spiced. 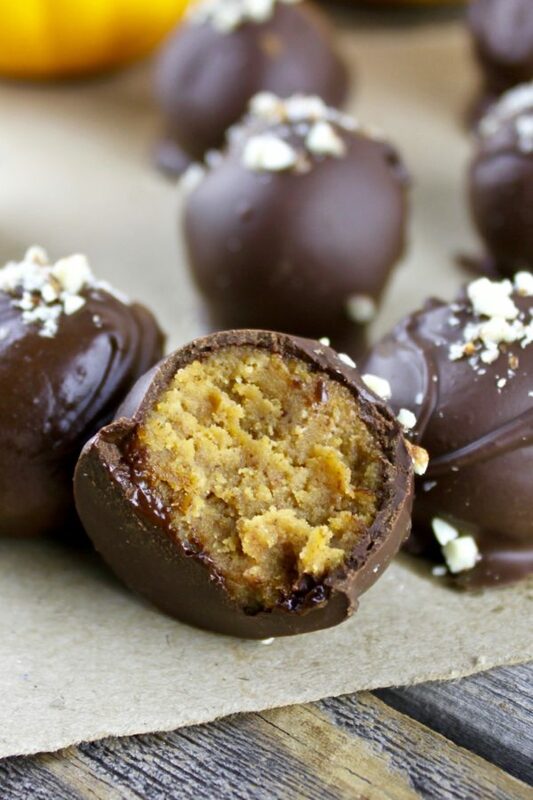 These Pumpkin Pie Truffles (Paleo, Vegan) from The Real Food Dietitians look delicious and so decadent. This is my kind of fall treat! 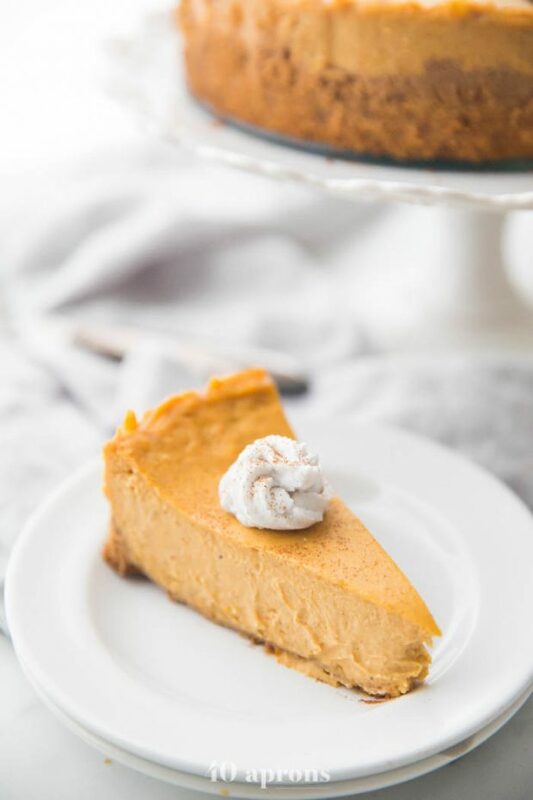 This Vegan Pumpkin Cheesecake from 40 Aprons is one of the best healthy pumpkin recipes you can make this holiday season. The perfect vegan Thanksgiving dessert, great for fall and Christmas, too! 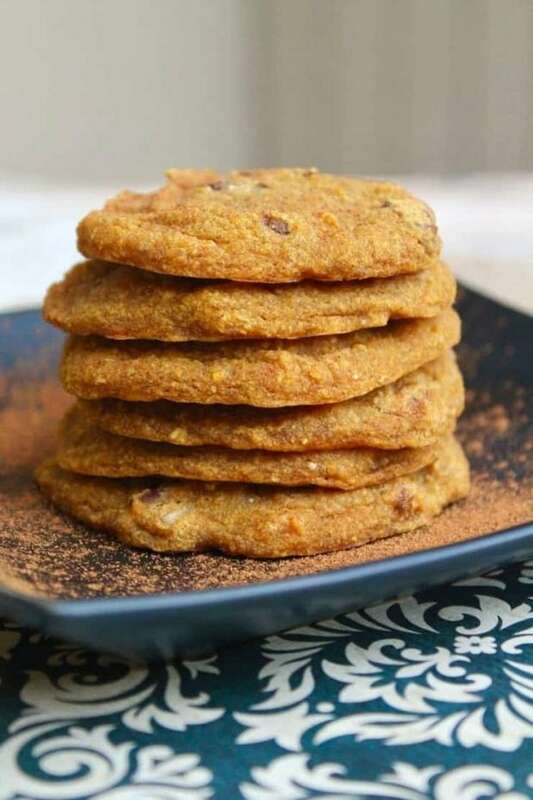 This Paleo, Gluten Free, & Original Pumpkin Scone Recipe from Laura Fuentes post not only has a paleo pumpkin scone recipe but also a gluten-free, and her own original recipe. 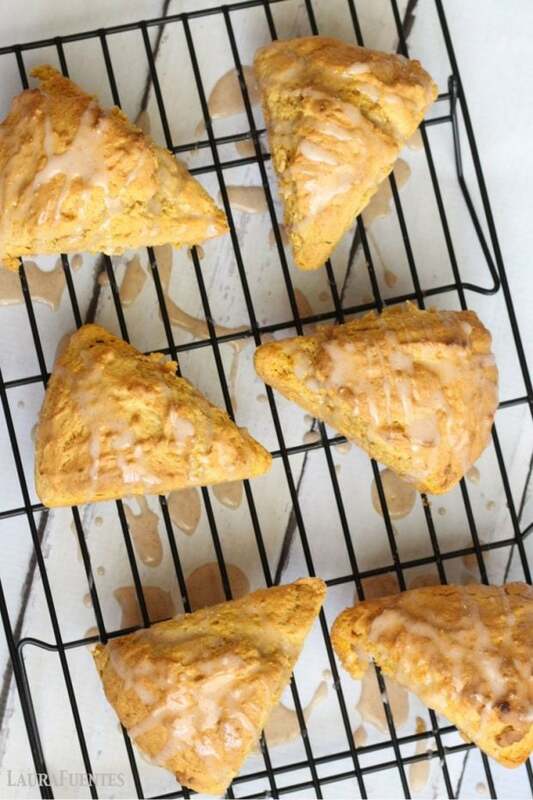 The paleo scones should definitely be a part of your morning routine, but I have no doubt they are all delicious! 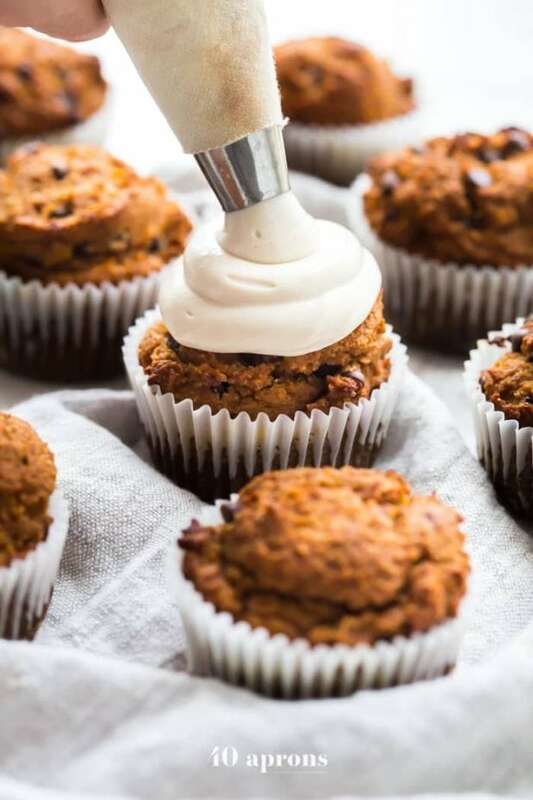 These Paleo Pumpkin Chocolate Chip Muffins with Cream Cheese Frosting from 40 Aprons are the perfect healthy pumpkin recipe and paleo fall recipe! If you haven’t tried these yet, you need to. Trust me. If this Pumpkin Coconut Smoothie (Paleo, Vegan) from Cook Eat Paleo doesn’t look like a Fall dream, I don’t even know where to begin. Creamy, sweet, and delicious with no dairy or added sugar, I need to try this ASAP! 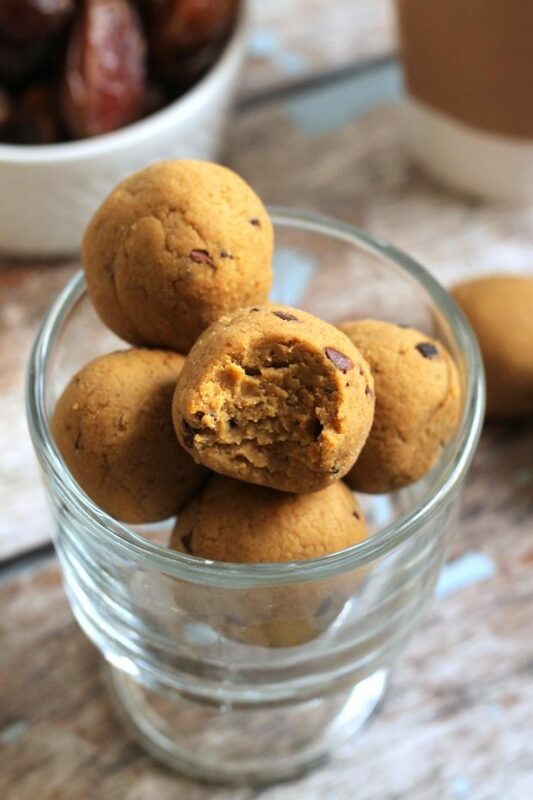 These Pumpkin Pie Protein No-Bake Bites from Hummasapien are cakey and packed with protein and fiber. If you are looking for a snack that tastes like pumpkin pie without the guilt, these are for you! 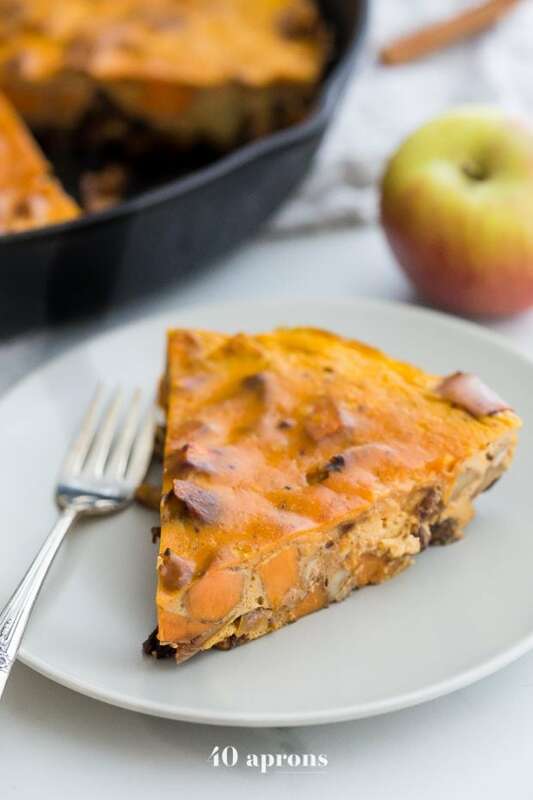 This Whole30 Pumpkin Breakfast Bake from 40 Aprons should be at the top of your list of fall recipes to make this season! It has sweet potatoes, apples, pumpkin, pumpkin spice, walnuts, vanilla bean, and plenty of eggs for protein. This is one of my number one healthy pumpkin recipes. 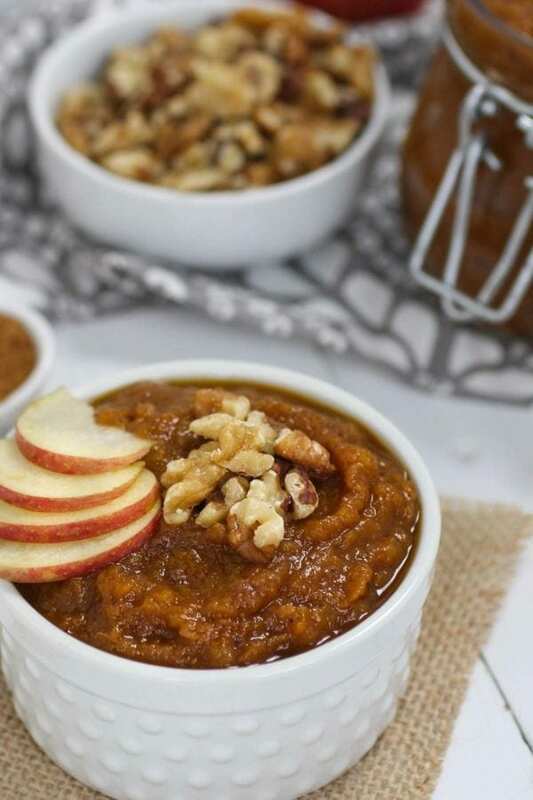 Next on the list is this Slow-Cooker Pumpkin Applesauce from The Real Food Dietitians which looks positively amazing! I mean, come on guys, warm pumpkin applesauce?! Yes, please. 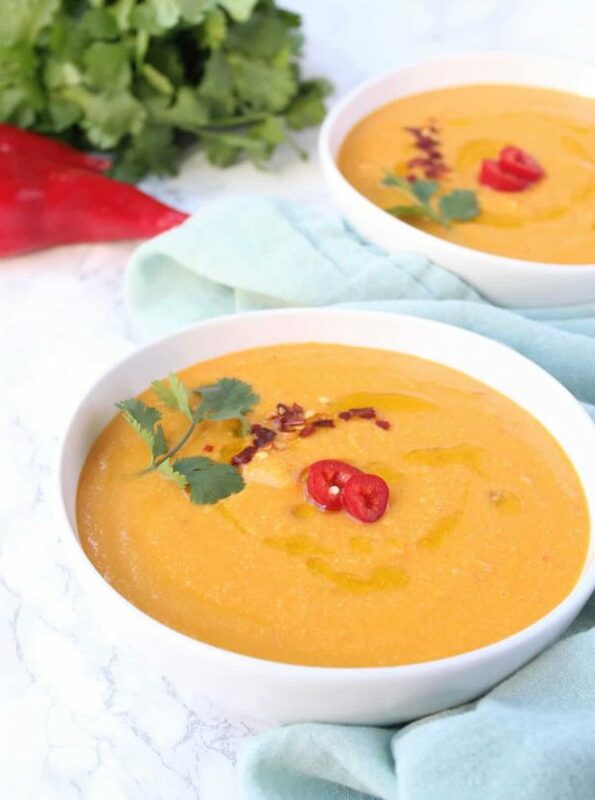 This Spicy Crockpot Pumpkin Soup from Eat the Gains is only 6 ingredients and is a comforting and easy dinner perfect for the Fall. Not only can you set it and forget it, but it’s also paleo, vegan, gluten free, and Whole30 compliant! 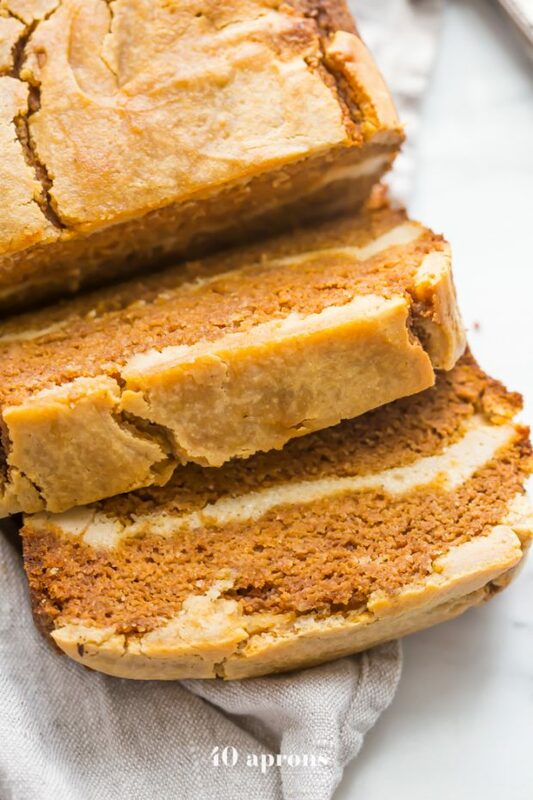 This Paleo Pumpkin Bread with “Cream Cheese Swirl” (Gluten Free, Dairy Free) from 40 Aprons is one of my favorite fall recipes because you can eat it as a breakfast, dessert, or even just a snack. The biggest struggle will be not eating it all in one sitting. 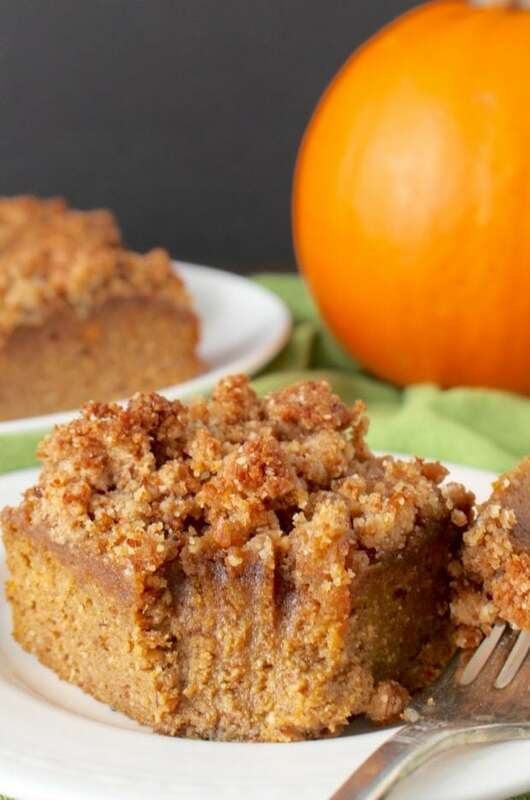 Take a look at this Paleo Pumpkin Coffee Cake from Jay’s Baking Me Crazy. Easy, delicious, and a healthy fall dessert. I honestly don’t know if this would last more than a few hours in my house. Just beautiful! These Healthy Banana Pumpkin Cookies (AIP, Paleo, Vegan, Sugar-Free) from Healy Eats Real look lighter than air. These cookies would make the perfect healthier fall treat for the kids. Although, I have to admit, I don’t plan on sharing any of mine. 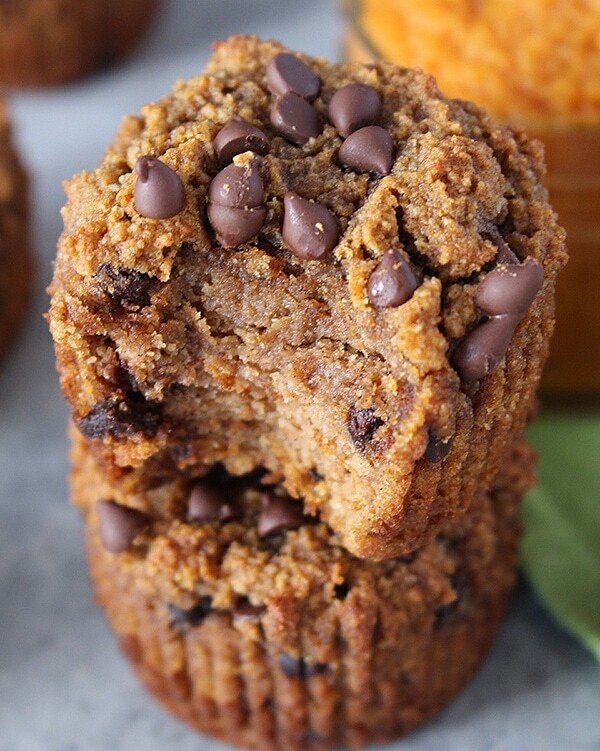 These Paleo Pumpkin Muffins from Jay’s Baking Me Crazy are on my list of “must try soon” recipes for sure. Gluten free and dairy free, these muffins can be made for breakfast or even just a tasty afternoon snack! I have saved the best for last. 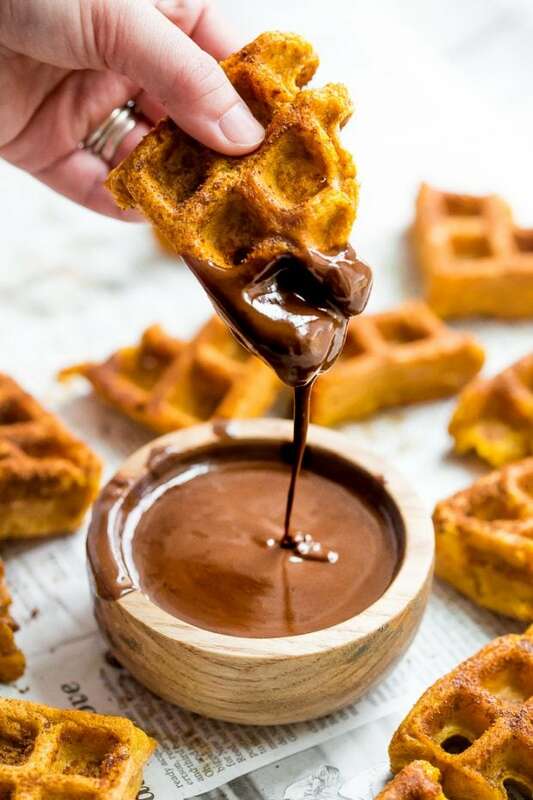 These Paleo Pumpkin Churros with Dark Chocolate Sauce (Made in Waffle Iron) from 40 Aprons are so incredible. Crispy on the outside, tender on the inside and made in the waffle iron, you have to try these. These churros are a must make when it comes to healthy pumpkin recipes!